The sheer volume of responses to the first issue of Fairy Tale Review shows that fairy tales continue to be one of the most viable art forms. In fairy tales, all things are interdependent, mysteriously and insanely entwined. They contain a deeply ecological world. 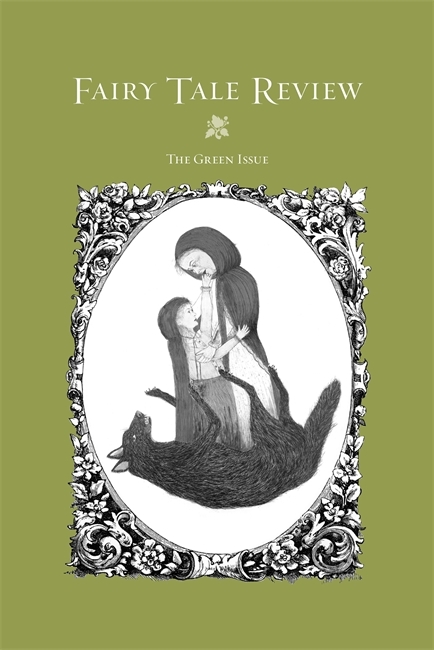 The Green Issue is devoted to new fairy tales, with a special consideration for nature. The unbridled individualism at work in the literary forms most dominant today devalues the natural world in relation to the human. In fairy tales, the human world and the animal world are collapsed. The collapse remains open to wonder and change. In this way, fairy tales provide the possibility for narratives to shine a different sort of terrible light on the natural world. This world is transparent, imperiled, abstract, and new. In this world, clarity and wonder go hand and hand.